Good work if you can get it AND not get caught. A middle-aged American software engineer outsourced his job to China, paying a developer there a fraction of his salary as watched cat videos on YouTube and posted on Reddit. 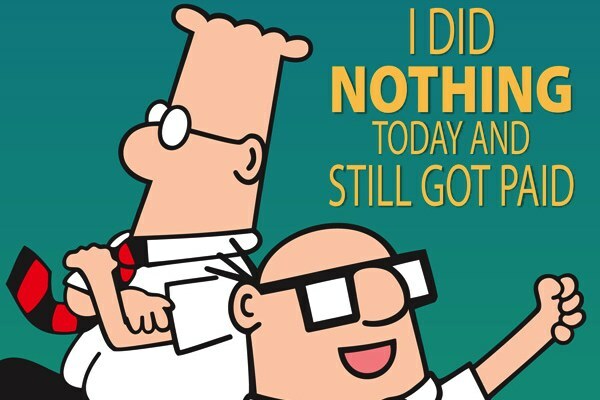 Think that reads one heckuva lot like Dilbert? You are not alone. The BBC is reporting the unlikely tale of a 40-something software developer, let’s call him “Bob,” employed by multiple unnamed companies who outsourced his job(s) to China. The interesting bits are that the scam went on for up to two years, affected multiple companies and, this is the kicker, he didn’t get caught for missing deadlines or shoddy work. Yes, working guys and gals, he got caught because Verizon discovered the employee had set up a VPN (virtual private network) so the Chinese developer could phone in the work as he whiled away the hours — 9am to 5pm every day — on YouTube, Reddit, eBay, etc. Although said middle-aged programmer is no longer employed, there is no mention of legal prosecution.